On today’s podcast I am so excited to bring you such a fun and inspiring episode with two of your favorite people, well actually 3. Nellie & Bryce Jurgensmeier also known to their YouTube and Instagram communities as TheJurgys joined me in the Stiry Studios along with their darling little girl Avalyn who makes her little self known to the world. In the episode we explore stepping out of your comfort zone to embrace life, creating home wherever you are, the importance of revalidating your purpose, stepping into who we are meant to be, the necessity for pausing and making time for those most important relationships, and how it is a boss time to be a woman. Nellie shares how having a cancer scare and a very powerful dream changed the trajectory of her life to step out of what was comfortable and embrace every moment. 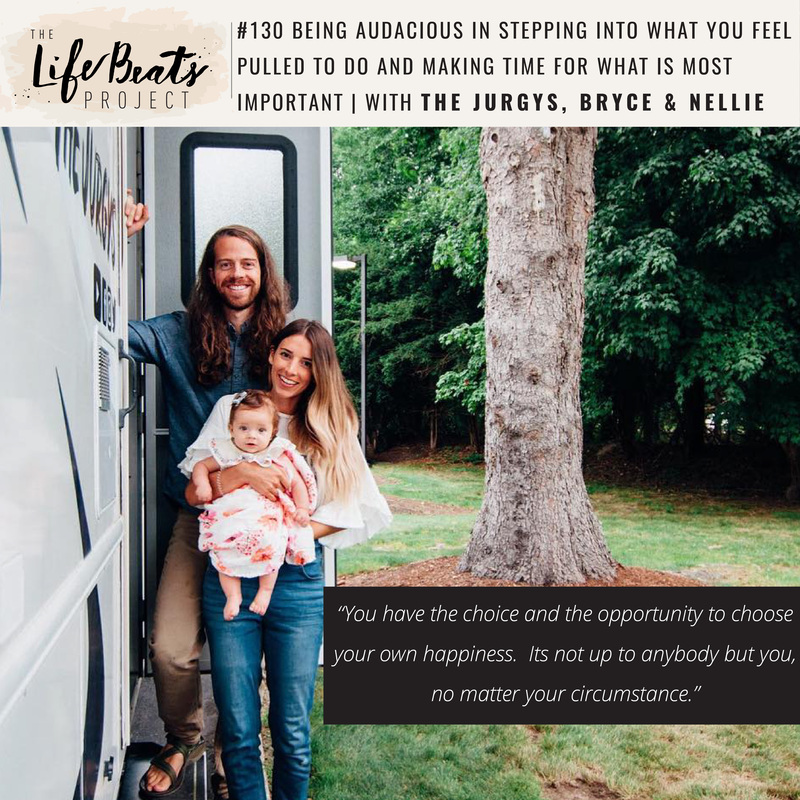 Bryce and Nellie share that that led to the beginning of their video and YouTube journey and their desire to inspire others to get out and find adventure with their loved ones, knowing that life can change in an instant. They share the struggles of maintaining their own relationship amidst being business partners and then becoming parents, and particularly after buying an RV to live in and travel the country to hide treasures and meet people along the way. They share stories of wanting to return the RV, losing the relationship they had with one another, wanting to quit, and why they keep going and what they have done to grow strong together. Listen and be inspired to be audacious in stepping into who you are and what you are meant to be, foster quiet in a loud world, and find adventure and inspiration with those you love outside of your phone and comfort zone. As well as what is coming up in The Jurgy’s next adventures.